Cookies for breakfast!? That’s right! 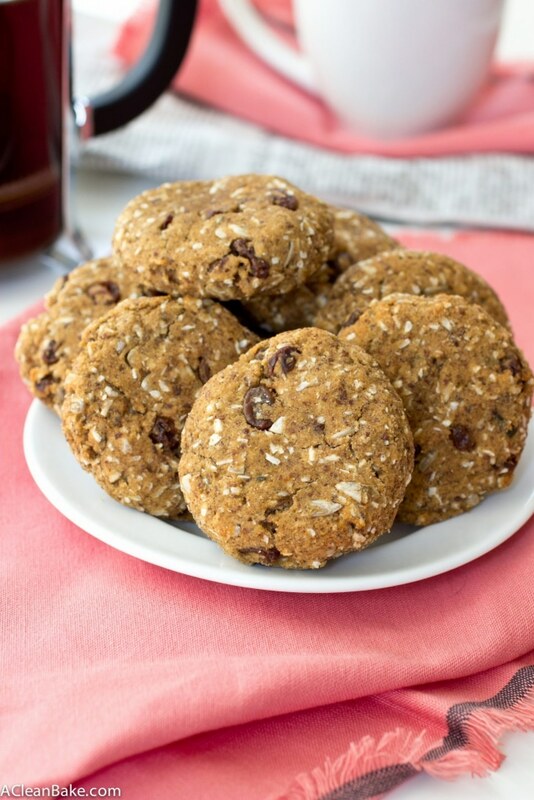 The whole family will love these wholesome breakfast cookies. They taste great, and are a wonderful on-the-go option. 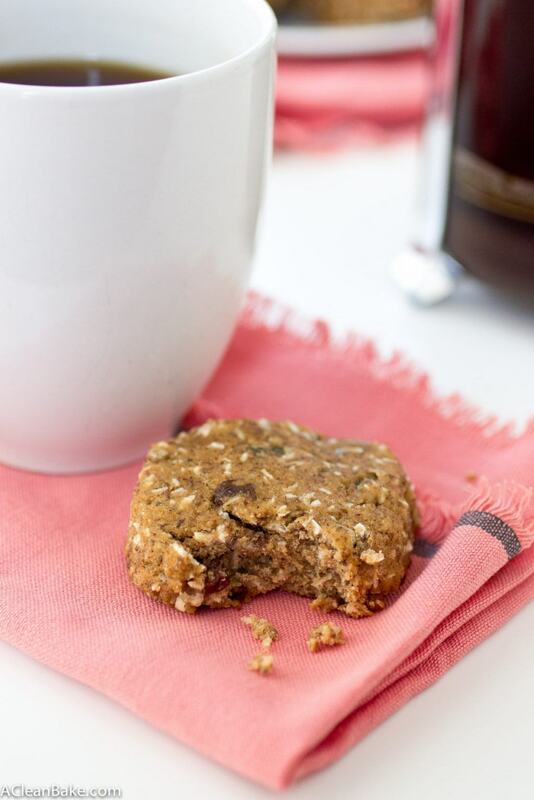 Plus, they are grain free, nut free, and refined sugar free, too! If you have ever had your water turned off for any extended period of time, you know how much you depend on – and take for granted – the multiple streams of clean water on demand that you have in your home. You think to yourself “the water is off” but still absentmindedly turn on the faucet only to be momentarily confused by the lack of … anything happening. For me, the oven (and stove) is like water. I keep reminding myself it isn’t there while simultaneously planning meals that revolve around it. This process is going to require a learning curve – that’s for sure*. It’s hard enough figuring out how to make a meal at the end of the day when I’m, you know, lucid. But breakfast? Forget it. Even under the best culinary conditions, I’m a time-crunched zombie in the morning and I know that I’m not alone. I can’t even imagine what it must be like if you have a kid who is back in school and you’re all (presumably) struggling to adjust to the new non-summer schedule that demands that you pack your kid’s lunch/find your keys/feed yourself and others breakfast all before the caffeine has had a chance to thoroughly enough saturate your bloodstream. Unfortunately, I can’t make your child’s lunch for you, and as for your keys, have you checked the freezer and your underwear drawer? Just a thought. But breakfast…well that is more my jam, and I can pretty much assure you that you’ll hear no complaints whatsoever from the peanut gallery (or, should I say sunflower seed gallery, since this is a nut-free recipe?) when you hand them a cookie for breakfast. Usually, when I make these kinds of convenience foods for my husband to take to work, he has no interest, but these cookies went over really well. Since I don’t have kids, that’s the best gauge I can offer, but honestly, what kid doesn’t want a cookie for breakfast? In my case, I made these before my oven was unceremoniously ripped from my home (oh the humanity) and froze them in individual servings. I make my lunch the night before and pull one of the little breakfast cookie baggies out of the freezer at the same time. It thaws overnight and breakfast is ready without any extra attention and no need to remind yourself, Momento-like, for the umpteenth time, that the oven can’t help you now. *If you’re curious what I am cooking (or not cooking), follow me on Instagram where I am chronicling my kitchen-less meals. Preheat the oven to 350F. Line a baking sheet with parchment or a nonstick pad. In the bowl of a stand mixer fitted with the beater attachment, or in a large mixing bowl using a hand mixer, beat the banana and sun butter together until smooth, about 1-2 minutes. Add the granulated sweetener, egg, vanilla and salt and beat until combined. Add the baking soda and cinnamon and beat until combined. In a small bowl, whisk together 1/2 cup of the coconut flour, plus the tapioca starch and flax meal, then add them to the mixer and beat until combined. If the batter thickens enough, do not add more coconut flour. If you batter is not sturdy like cookie dough should be, mix in an additional 1-2 Tablespoons coconut flour. Finally, fold in the raisins, coconut and sunflower seeds. Scoop the dough into 3 Tablespoon portions. Roll each into a ball, flatten slightly and place 2" apart on the prepared cookie sheet. Bake for 15 minutes until the tops of the cookies are slightly domed and crackled. Remove from the oven and allow the cookies to cool and firm up on the baking sheet for 10 minutes before transferring to a wire rack to cool completely. If you don't have the sweeteners on hand, you can replace it with 1/4 cup coconut sugar, or leave it out. 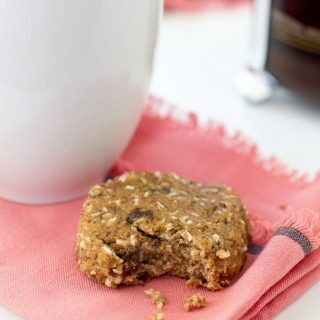 There is some natural sweetness to these cookies from the bananas and raisins, but the additional bit of sweetener really helps to round out the flavor. If you can tolerate nuts, you can easily swap out the sunbutter for any nut butter of choice. If you're using nut butter, replace the baking powder with 3/4 teaspoon baking soda. Store leftovers in an airtight container in the refrigerator for up to 5 days, or in the freezer for up to 3 months. I can only imagine how hard it is to live sans kitchen (but the end result will definitely be worth it!). 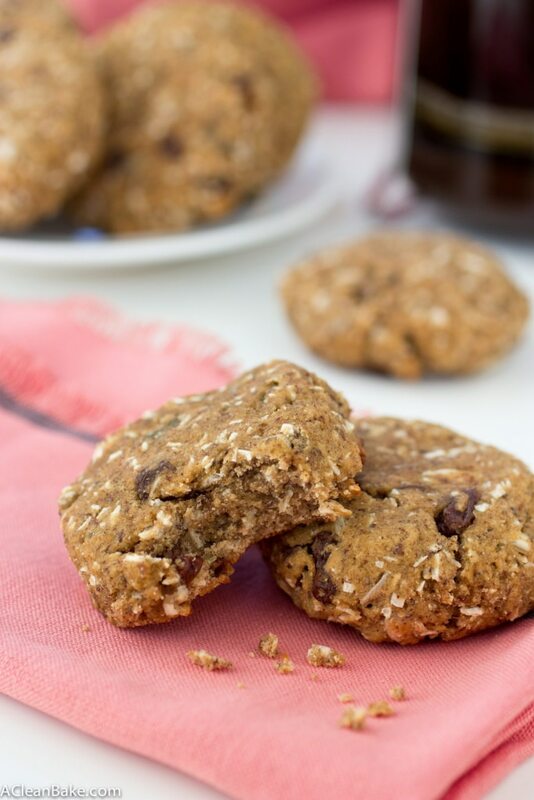 These breakfast cookies look perfect for when I need to dash out the door! Yes, it definitely will be worth it! It’s getting a little easier every day to live without a kitchen. I’ll never get used to washing dishes in teh bathroom sink though, so that’s why I like these grab and go options! Nora, I love breakfast cookies! These look and sound delicious! Sneakily incorporating good-for-you ingredients is always a hit with me! A must-make, for sure! Thanks for the recipe! So, I did make these, but with a couple of substitutions. Oats for the coconut and mini chocolate chips for the raisins (sorry I made them slightly less healthy 🙂 ). Imagine my surprise when they turned green as they cooled! Not like your picture at all! I remembered reading something about Sunbutter causing this effect in baked goods, so I looked on their website FAQs, and it’s related to the chemical reaction between the sunflower seeds and baking soda. Kinda crazy looking, but they are delicious! Ahh, yes that can happen! I meant to make a note about that – sorry for the surprise! I will update the recipe accordingly. I think your version sounds amazing, and still perfectly healthy (I’m a big fan of whole grain oats for those whose systems can accommodate them! And let’s face it: chocolate is always a good idea) and I’m glad they tasted good! These look so good!! 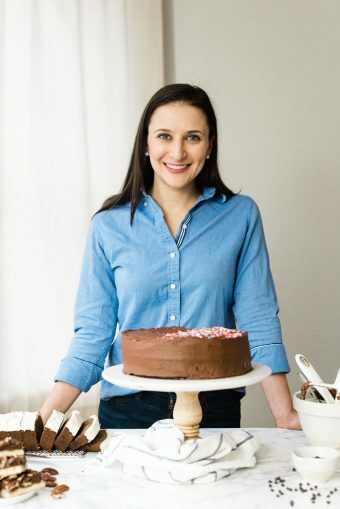 I’ve been in need of a good out-the-door type breakfast so I think I need to make these – plus, I’m pretty sure I’ve never had sun butter and I’m totally excited to try it. PS- I’m living vicariously through you are your kitchen renovations- I know it’s probably the most stressful thing, but I will be incredibly jealous when it’s done – I know you’ll make it amazing! I can one up you: We once didn’t have heat or hot water for over 2 days – in February!!! It was miserable. As much as it is frustrating to not have a kitchen, I’ll take that over no water at all any day! Hi, would it be possible to sub pumpkin puree or avocado for the banana? In theory, yes, it should be fine to sub pumpkin puree for banana. I say in theory because I have not tried it, so can’t guarantee the outcome! If the batter ends up being too wet, just add a bit more coconut flour to get it back to a cookie dough consistency. Let me know how it turns out! Hi Madelyn! No problem. I’d suggest replacing them with something else (chopped sunflower seeds would work well) if you can. Otherwise, you can leave them out but the cookie might be a little bland, and the batch will also make fewer (or smaller) cookies.